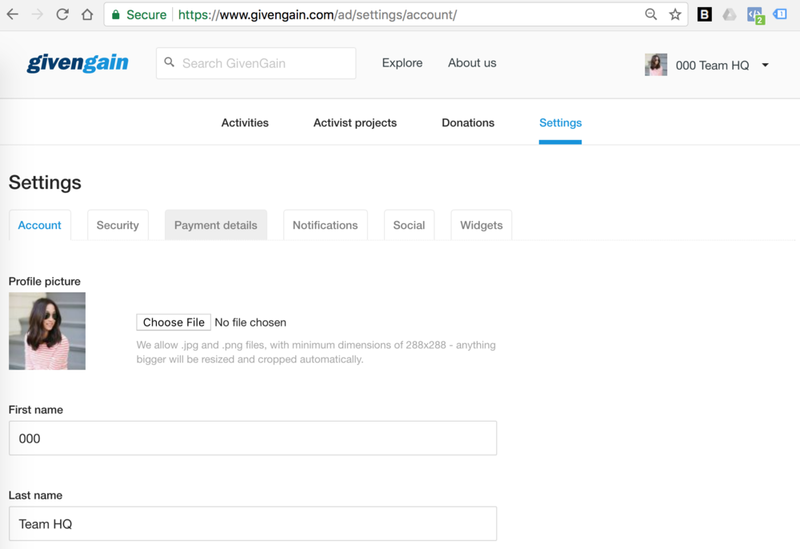 STEP 1: Go to GivenGain.com and sign up "As a fundraiser"
A quick way is to use facebook login..
Click on your name to get a drop-down menu, then click on "Settings"
We suggest changing your "Name" to your Rally Number and "Last Name" to your Crew Name. Then complete the rest of your profile before clicking 'Save' at the bottom of the page. A deadline that is after the rally ends, we suggest the of July. Don't forget to create a personal thank-you message for you supporters! STEP 6: NOW share your page WITH THE WORLD! 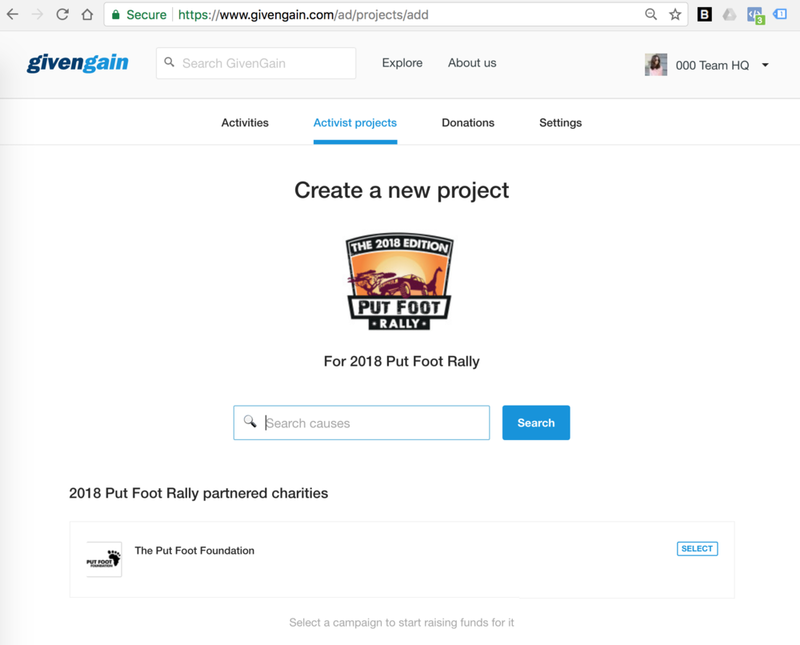 Now your Crew Fundraising Page is linked to the 2018 Put Foot Rally and will automatically handle every donation, as well as update your Crew Total. Happy Fundraising! Some donors prefer to use EFT, which is also cool. Just click here for details.